Agapè Catholic MarriagePreparation has been designed with military and deployed personnel in mind. It is listed as a valuable resource on the Archdiocese for the Military Services website (we are the second link from the top: 2) Agape CatholicMarriagePrep.com). 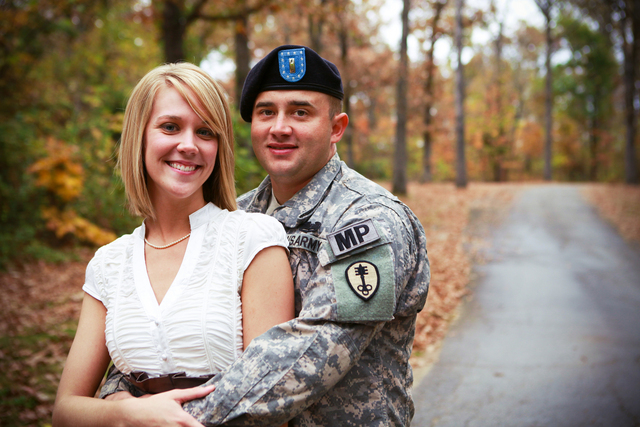 A discount is offered to all military couples as a token of our appreciation for their service. PRIOR to registration, please either scan and click here to email your valid military ID - (Please crop in order to show only name and expiration date), or scan and click here to email a letter from command as proof of service. We will then email you a discount code to be entered in the payment page when you register. Read here Archbishop Broglio's article on the challenges faced by military couples. It really allowed us the opportunity to get to know each other on a deeper level, even if we had to do it via Skype! It gave me, Stephanie, the spark I needed to re-light my fire for Christ which was smothered by life in general. It forced us to talk about some things that we've never really had the chance to talk about in-depth before. Since James isn't Catholic, it helped him to understand more where I am coming from with my some of my viewpoints and beliefs. 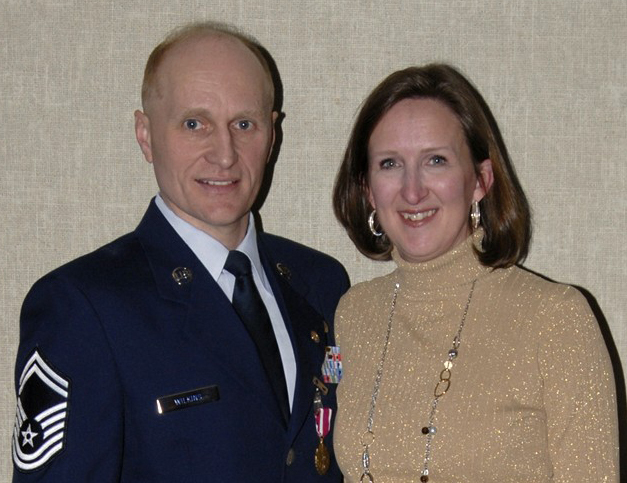 Gordon recently retired after 28 years enlisted in the Air Force. Gordon was 21 and Mary was 19 when they got married 30 years ago. 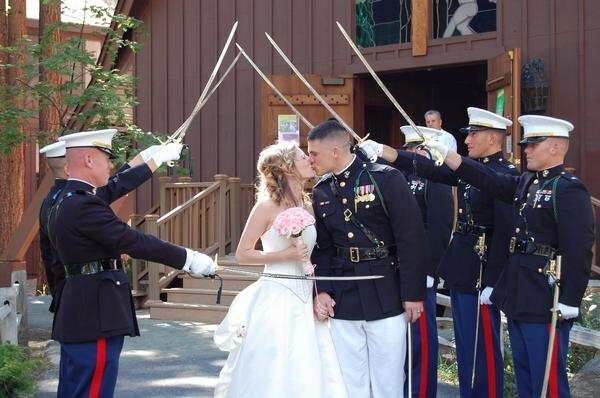 They have been a military couple almost their entire marriage. 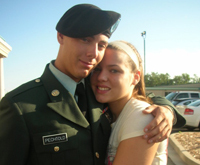 They have endured months of separation due to deployments and even a year apart when Gordon was in Korea. They did this without the benefit of being stationed near family to help out. 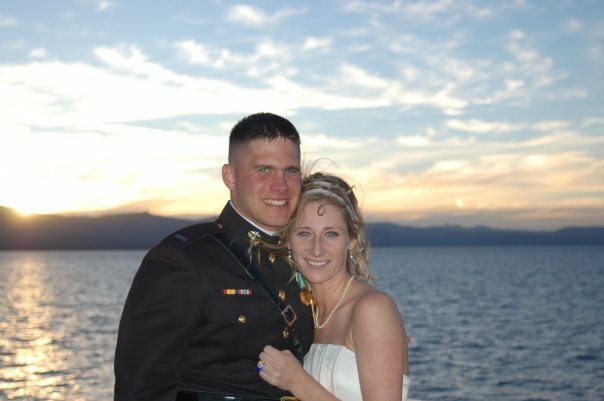 Here is their experience of being Catholic Marriage Prep Instructors, as they help a lot of engaged couples in the military go through their marriage preparation. 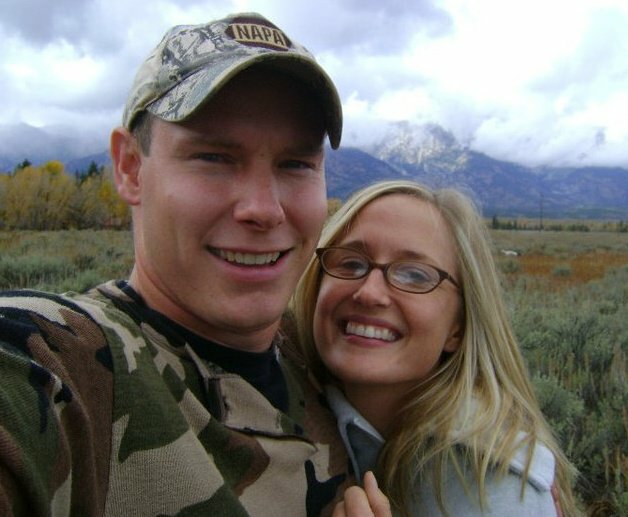 "We absolutely love working with the military couples who take this class, and we enjoy giving them some encouragement and insight. 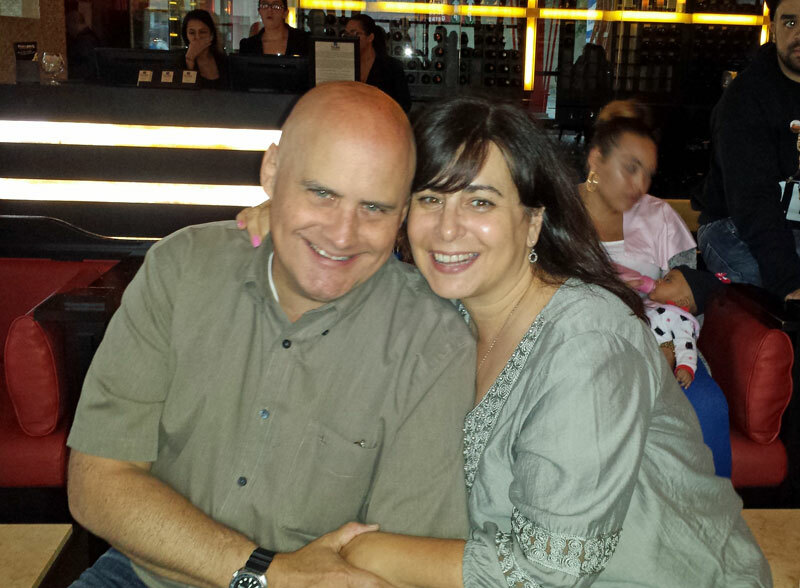 We are committed to helping couples build strong, faith-filled and lasting marriages. We tell our couples that Mary knew in her heart when she married Gordon that his loyalty was always to his job. Taking the oath to serve his country demands that. And Gordon also knew that he took a vow before God to love her and honor her. 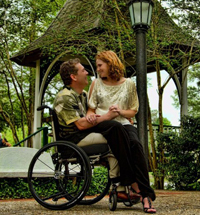 It’s a difficult situation that only military couples face. 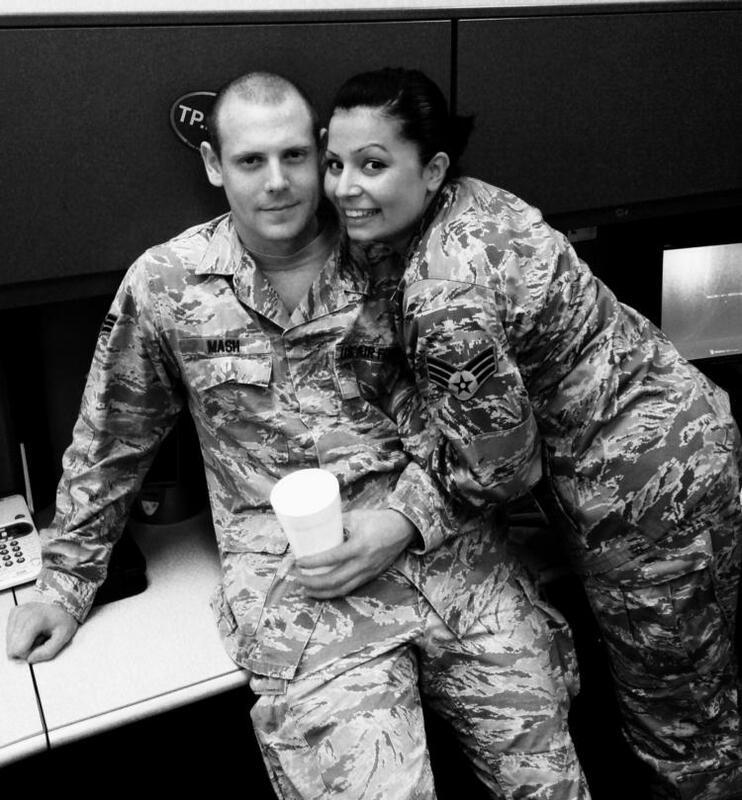 Military couples have to be strong, trusting and absolutely self-sacrificing to be successful! We definitely had our struggles over the years and we share this with them. It is so rewarding to teach military couples the Catholic teaching and preparation for marriage. We receive so much in return! 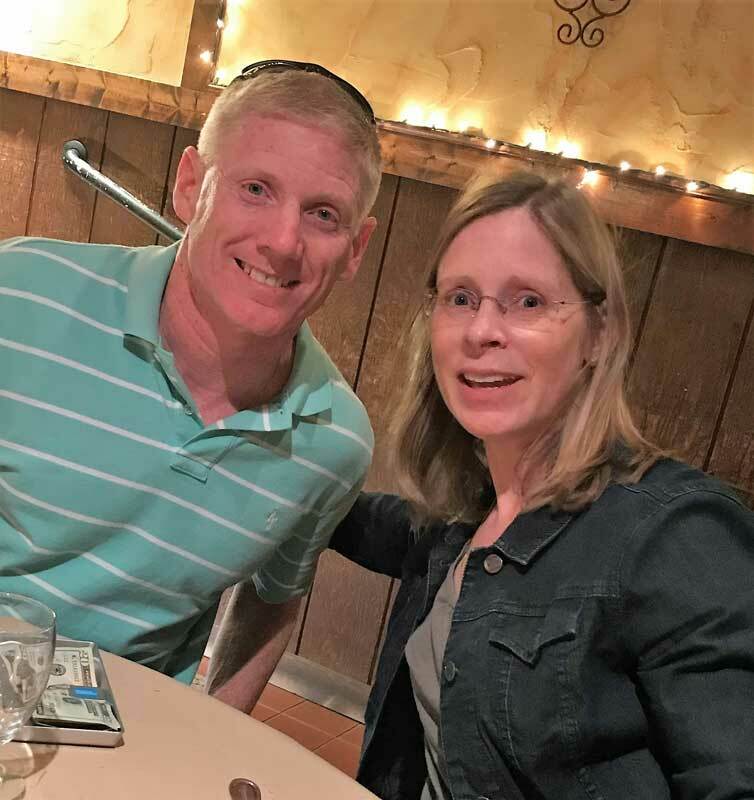 To hear their dedication to each other during long, difficult separations, and the stories of how Jesus personally helped them through their tours in Iraq and Afghanistan inspires us, too! We feel extremely blessed to be instructors for this program and we think we are filling a need for those men and women who are apart during their engagement." We met at a bus stop on the NATO base. We married in 1987 (on a Friday in Lent!) in a Catholic ceremony at the Navy Chapel. Nine months later, our first was born. Six weeks later, Debbie was received into the Church, and our daughter was baptized. A week later, Joe left the Navy. In a little over two years, Debbie went from a single Protestant career woman to a married Catholic lady with two dependents. Life is full of surprise! Today. We’ve moved – to Colorado, Virginia, Colorado, Northern England, Colorado – and grown -- to ten kids (eight by birth, two by adoption), a wonderful son-in-law, a lovely daughter-in-law, and three fantastic grandchildren. This youth fills our lives with chaos, noise, confusion, and messes, but they have enriched our lives immeasurably. 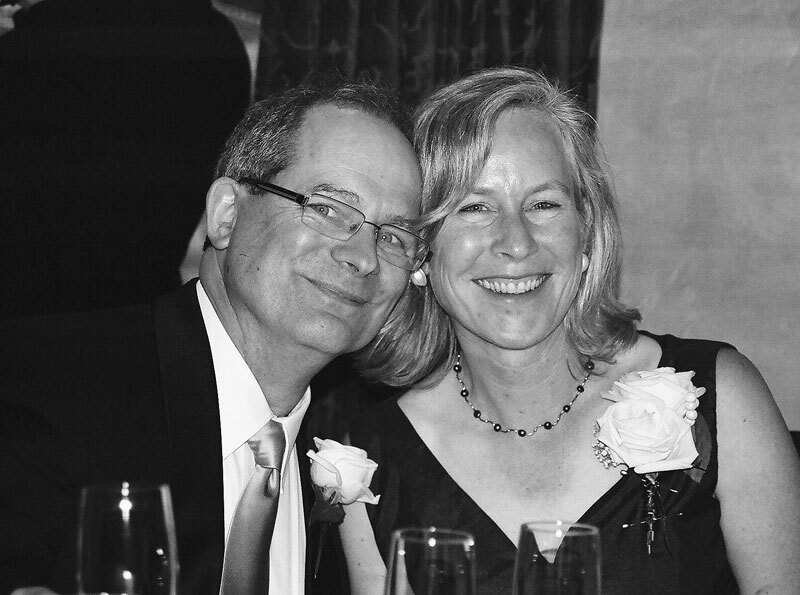 We began our married life on December 29th, 1984. 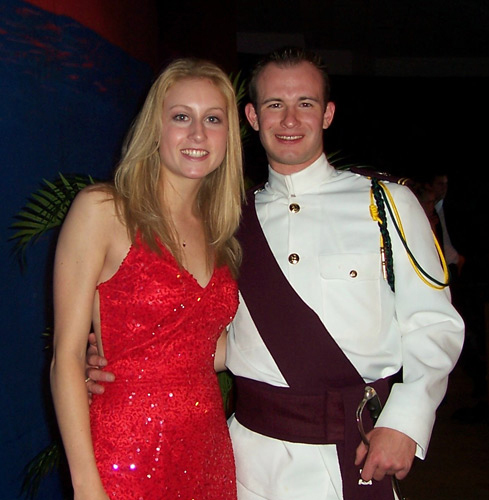 Michael was already in the Army, having served two years enlisted time and having recently graduated from West Point. Lisa was finishing college (Mount Saint Mary) with a semester yet to go. 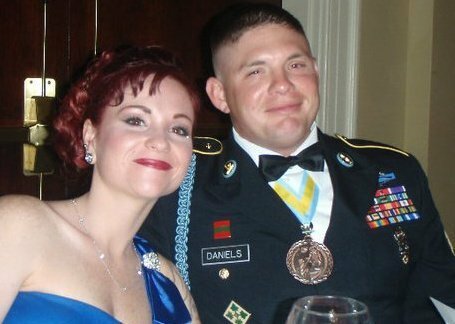 The first 6 months of our marriage began with 4 weeks of our living together as man and wife and then 5 months of Lisa finishing college in NY and Michael attending various military schools and trainings. Our life has been an adventure ever since, including 2 children, one grandchild, 14 duty stations, 4 deployments, an un accompanied tour, and retirement. Our oldest, Angela, is 25 and lives in Texas with her family. She gave us our first granddaughter, Ava. Mikey is 20 and attends Saint Bonaventure University. Our children came to our family through the gift of adoption. Each of their stories is beautiful and we remain eternally grateful for the blessings that they are in our lives. 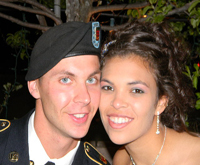 We were married six months after graduating from West Point and began our U.S. Army careers together. Our first tour took us to Germany where we experienced the busy lifestyle of a dual-military couple. We were blessed with our first child in Germany and our second at our next duty station in Northern New York. 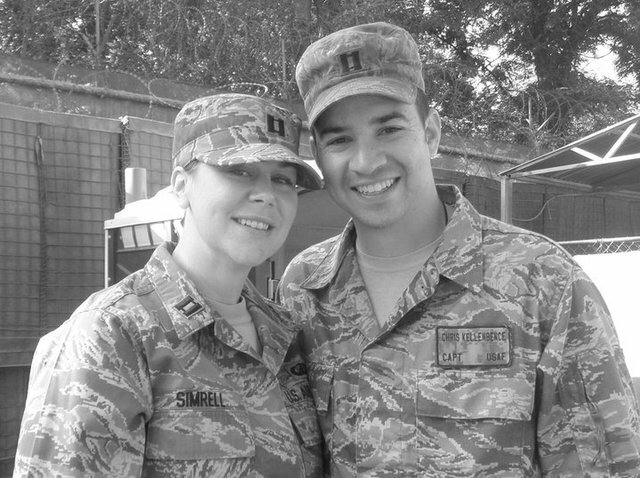 Kristin, a maintenance officer, left Active Duty after serving 5 ½ years to pursue her passion of raising our children as a stay-at-home mother. Our next assignments took us to California, New York, Southern Germany, Massachusetts, and back to New York. We welcomed eight more beautiful children in our family during this time as we continued to navigate the challenges of military life with a large family. Our 7th child was born six weeks before Mark’s year-long deployment to Iraq. The separation was challenging, but taught us to trust in God’s providence. We look forward to sharing God’s love for marriage and family with military couples! Garret, Pilot: It was wonderful being able to do this together even when we are far apart. The class forced us to take a significant amount of time out of our schedules each week to focus solely on what marriage is all about. It helped us to know that we have similar understandings and expectations of our future and helped build foundations for talking about how Christ is the center of our relationship. Kristen, Nurse: I enjoyed this class very much! My overall appreciation was the encouragement of our instructors. They always responded to our submissions in a quick and timely manner with thoughtful responses. They were very encouraging and challenged Garrett and me to really take a look at our relationship and find our strengths and areas of improvement. This class brought up many discussions between Garrett and me, and I am looking forward to having the responses to look back on throughout our marriage. This online program was a perfect way for Garrett and me to prepare for our marriage. It gave us the opportunity to really think and discuss the topics presented. We were able to form our answers on our own, discuss them together, and then submit and view the responses. It definitely met our expectations! We are very excited to remain abstinent and pure to one another for the night of our marriage. This course also helped us to really know the many benefits that NFP, and we are excited to welcome God into our marriage and appreciate the gift of children. Thanks to our instructors! They are wonderful; they are a strong couple and are great role models! Joseph, submarine Officer: I think there was a lot of good information and it really gave me a greater appreciation of the sacrament of marriage. I'm more excited now to marry Alexis than ever, and I think the course had a big part in building that excitement. I had no idea how the online aspect of it would work. I thought it might be difficult for us to do since we are living far apart. It turned out to be very user friendly and we had no trouble doing the worksheets and communicating with each other. While there was a lot of great content, the thing I appreciated the most were our instructors who always provided timely feedback. It was also obvious that while they were always quick to provide our answer keys, they really took the time to read our answers and respond personally to us. The interaction between us and our instructors was actually much better than I anticipated going into the course. Much of our focus had been on planning the wedding ceremony and reception. It was nice to be able to focus on God's role in our wedding but also looking beyond the wedding to the rest of our lives. I think the format of the course allowed us to discuss topics we hadn't really discussed in depth before. Additionally, we were able to develop our own ideas and answers first and then discuss them with each other. Alexis, Senior Reactor Engineer: I feel like this class has taught me a lot about Catholicism and has helped me to better appreciate Joe’s religion. I think it has also helped me to change my attitude about our religious differences and opened my eyes up to the fact that we are a lot closer on our views than I thought we were. The class was very beneficial and helped us to think and focus on things that we would not have done on our own. I’ve always had a desire to be close to God. I think it showed me new ways that I can align what I want and feel to what God wants for me. Thank you to our instructors. We really appreciate all your help. It was very convenient! It worked out perfect for my husband and I. He is in Afghanistan. The instructors were great and replied quickly! Perfect! It was nice to reconnect with the church while my husband is away. He was able to reconnect his faith too, it brought him closer to god while being in an active work zone. Samuel, Military-Army: I know that I am walking away from this experience/class more knowledge and prepared for marriage. I have learned important tools that will be implemented into our marriage. This prep allowed me to see things from a different perspective that I may not have given the opportunity to see before. Natalia, Registered Dental Assistant: I feel as though Sam and I have become closer after this experience. He is not always as faith/church/God orientated as I am, but I feel as though we grew together to form a closer bond with each other and God. Gordon and Mary always gave us great pointers and advice that we would have not come up with on our own. i feel that when I walk down the aisle towards my future husband, I know that we are closer than ever thanks to this course and the help of Mary and Gordon. Read here the poignant testimony of Matt, a Black Hawk Helicopter Mechanic in Iraq.